Alaska - Office of the State. American Law Sources On-line (ALSO!) - Compilation of links to on-line sources of American law. American Legal Publishing - Provides a wide range of codification services to local governments, including ordinance codification, electronic publishing, subscriber services and much more. See Online Code Library. Book of the States - The Council of State Governments' annual almanac of information about the states. California - Office of the State. California State and Local Government - Guide to California state and local government. Carroll Publishing - Information on government decision-makers and key staff at the federal, state, and local levels. Carroll's GovSearch - Powered by Carroll Publishing, providing frequently updated information on over 360,000 government decision-makers and key staff at the federal, state and local levels. GovSearch provides immediate access to biographies of all executive and key level members of government, federal and defense organizational charts, plum position postings and many additional consumer features. City Mayors - Examines how city mayors and others who govern metropolitan areas, develop innovative solutions to long-standing urban problems such as housing, transport, education and employment, but also how they meet the latest environmental, technological, social and security challenges which affect the well-being of their citizens. Connecticut - Office of the State. Council of State Governments (CSG) - Multibranch state association provides leadership training, research and information products, and regional problem-solving activities. Delaware - Office of the State. Directory of State Constitutions and State Codes - Maintained by Cornell Law School. eCode360 Library - Municipal codes on the Internet. Federal, State, and Local Government Finances - The Census Bureau conducts a census of governments at five year intervals, and an annual survey for the intervening years. The state and local government finances are available in files and viewable tables. The statistics cover government financial activity in four broad categories of revenue, expenditure, debt, and assets. Find a County - The National Association of Counties collects information here on counties, such as county officials, courthouse addresses, county seats, cities within a county as well as various statistical and geographical information. Find-It! Washington - A collection of online search tools to help citizens find Washington State government information. Florida - Office of the State. Gov - State and local government. GovEngine - Federal, state, and local government and court resources. Governing - A monthly magazine whose primary audience is state and local government officials: governors, legislators, mayors, city managers, council members and other elected, appointed and career officials. Government Computing News (GCN) - Provides news about the acquisition and use of information technology in government and the people doing it; news about regulation, oversight and legislation concerning IT in government; and information about new products as well as product reviews. Government Technology - Solutions for state and local government in the information age. GovLoop - Online community connecting nearly 50,000 government innovators from federal, state, and local government. GovLoop's mission is "to connect government to improve government." The community is a great resource for all people in and around government, whether they are looking to connect with peers, collaborate on projects or discover career-building opportunities. GovSpot - Government information portal. Federal, state and local government resources. Hawaii - Official government of Hawaii site provides electronic access to government information and services, working in Hawaii, living in Hawaii, visiting Hawaii, and education in Hawaii. Illinois - Office of the State. Indiana - Office of the State. International City/County Management Association (ICMA) - Creates excellence in local governance by developing and fostering professional local government management worldwide. The organization provides technical and management assistance, training, and information resources in the areas of performance measurement, ethics education and training, community and economic development, environmental management, technology, and other topics to its members and the broader local government community. Iowa - Office of the State. Keele Guide to US State and Local Government and Politics - Maintained by the School of Politics, International Relations and Philosophy, Keele University. LegiScan - Whether you need to focus on a single state, track any of the bills across fifty states or are looking to create your own custom application, LegiScan provide services that bring all legislative information together into a single uniform interface. Library of Congress State Government Information - Meta-indexes of state and local government information. Local Government Commission (LGC) - Provides technical assistance and networking to local elected officials and other dedicated community leaders who are working to create healthy, walkable, and resource-efficient communities. Maryland - Office of the Governor. Massachusetts - Office of the State. Meet the Mayors - From the U.S. Conference of Mayors. Michigan - Office of the State. Minnesota - Office of the State. Missouri - Office of the State. Municode - Municipal codes and ordinances for communities throughout the U.S. Also see Municode Library Map. Municipal Code Corporation - Information regarding the purchase of official copies of posted documents may be obtained by contacting the Municipality or Municipal Code Corporation. Munisource - Links to 3,500 Official Municipal Sites in 44 countries. National Association of Counties (NACo) - The only national organization that represents county governments in the United States. Provides an extensive line of services including legislative, research, technical, and public affairs assistance, as well as enterprise services to its members. Also see Find a County. National Association of Secretaries of State (NASS) - NASS serves as a medium for the exchange of information among the Secretaries and a mechanism to encourage formal and informal cooperation between state governments. National Association of State Budget Officers (NASBO) - Professional membership organization for state finance officers. Also see Reports and Data such as informational briefs, budget processes, fiscal surveys of states, and state expenditure reports. National Association of State Chief Information Officers (NASCIO) - NASCIO represents state chief information officers and information resource executives and managers from the 50 U.S. states, six U.S. territories, and the District of Columbia. National Conference of State Legislatures (NCSL) - Research on state issues, publications, meetings and seminars, legislative information. National Council of State Housing Agencies (NCSHA) - Advances the interests of lower income and underserved people through the financing, development, and preservation of affordable housing. National Governors' Association (NGA) - Bipartisan national organization of, by, and for the nations' Governors. National League of Cities - Represents more than 18,000 cities and towns of all sizes in the U.S.
Nevada - Office of the State. New Jersey - Office of the State. New York State - Office of the State. Consolidated/Unconsolidated Laws - Visit the NY State Assembly or the NY State Senate for links to the State Constitution, State Consolidated Laws, Unconsolidated Laws, and search the site for New York State chapter laws for the current year. New York Law Collection - FindLaw. New York Legal Materials - Legal Information Institute, Cornell Law School. New York State Laws, Regulations, and Notices - NY.gov. New York State Legislature - Bill text, status, summaries, sponsor memos, floor votes. New York Statutes of Limitations - FindLaw. Open New York - Data portal that brings local, state and federal data together in one place. North Carolina - Office of the State. Ohio - Office of the State. Open the Books Portal - From the federal to state to local government, search salary, pension and spending databases by state. Pensions and Retirement State Legislation Database - Current legislation on pensions and retirement is available in a searchable database. You can search 2012 pensions and retirement bills by topic, primary author, state, bill number, status or keyword. The database is updated every two weeks. Maintained by the National Conference of State Legislatures. Pew Research Center: State and Local Government - Conducts research, brings together diverse perspectives, and analyzes states' experiences to determine what works and what does not. Puerto Rico - Federal Affairs Administraion. Redistricting - Information about redistricting practices and policies in the U.S.
Rhode Island General Assembly - State of Rhode Island General Assembly. Rhode Island - Office of the Secretary of State. Socrata - A leading developer and provider of Open Data Services, a category of cloud-based Web 2.0 solutions that enable federal, state, and local governments to dramatically improve the reach, usability and social utility of their public information assets. South Carolina - Office of the State. State and Local Government on the Net -Guide to state and local government. State Financial Disclosure Project - While national debate in the United States continues over financial disclosure practices for federal officials, personal financial disclosure for state and local officials remains an under-studied area also in need of more sunlight and scrutiny. This research project scores each U.S. state based on relevant disclosure policies and practices. This score is also integrated with other related measures to assess overall transparency around potential conflicts of interest by public officials. State Statutes by Topic - State statutes on the Internet provided by Cornell Law School. Stateline - Founded in order to help journalists, policy makers and engaged citizens become better informed about innovative public policies. Source for state news. Sunlight Foundation - A national, nonpartisan, nonprofit organization that uses civic technology, open data, policy analysis and journalism to make our government and politics more accountable and transparent. Texas - Office of the State. Texas Register - Extensive U.S. Federal, State, Local/Regional and International government resources or browse the Texas Register archives back to 1991. U.S. Census State and County QuickFacts - Provides statistics for all states and counties, and for cities and towns with a population of 5,000 or more. U.S. Conference of Mayors - The official non-partisan organization of cities with a population of 30,000 or larger. Each city is represented by its chief elected official, the mayor. U.S. State and County Quick Facts - Includes data for all states and counties, and for cities and towns with more than 25,000 people. USA.gov - Official portal for the U.S. Federal Government. FirstGov provides extensive information on each of the three branches of the U.S. Federal Government: the Executive, the Legislative, and the Judicial branches and access to a wealth of state and local government information. Utah - Office of the State. Virginia - Office of the State. Washburn - State government links maintained by Washburn University School of Law. 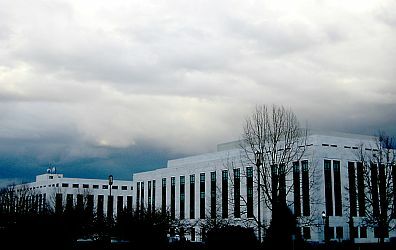 Washington State Government - Local government information and online services to businesses operating in the state of Washington. Wisconsin - Office of the Governor. This webpage last updated on Wednesday, September 13, 2017 5:28 AM.